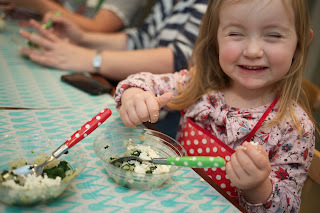 At the weekend Isla and I went to an event for Tesco Real Food at Maggie & Rose (yes, I know, lucky to go there twice in one week!) and we both had such a good time! The theme was 'Cooking with Kids' and we were going to cook two yummy, quick and healthy recipes together. Isla and I have done some baking together, biscuits and cakes being what we've achieved so far. The only thing that puts me off cooking with her is the amount of mess it makes! So the idea that we were going to someone else's kitchen to make mess really appealed. 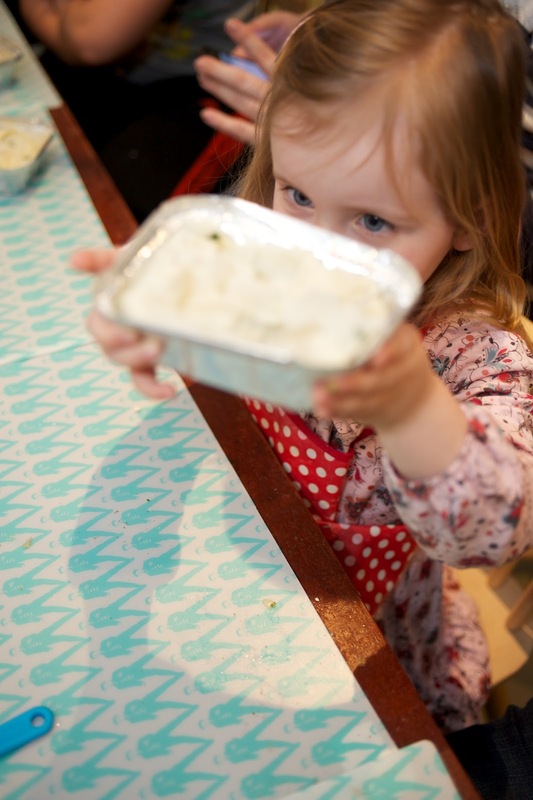 Our trip to London went smoothly and we arrived to meet the other bloggers and their kids, everyone was super friendly and once all had arrived we rolled up our sleeves and got stuck in! Next up we made a beetroot and chocolate muffin and this was the tricky one. Not from the point of view that it was hard to make, but that it was difficult to stop Isla from constantly putting the spoon in her mouth or sticking her finger in the mixture knowing it was a chocolate cake we were making. The addition of beetroot to this muffin is such a great idea, chopped up really small (which ours wasn't as it was Isla doing the chopping!) no one would even guess it was in there, so a really good way of getting some five a day in your kids. Now I have to be honest and say that Isla didn't eat the Spinach Filo Tart. She's only just starting to venture away from her staple diet of pasta and I'm so proud of her when she tries new foods but this was just a bit too different for her at the moment. She did get stuck into the muffin though. For me, I loved both! 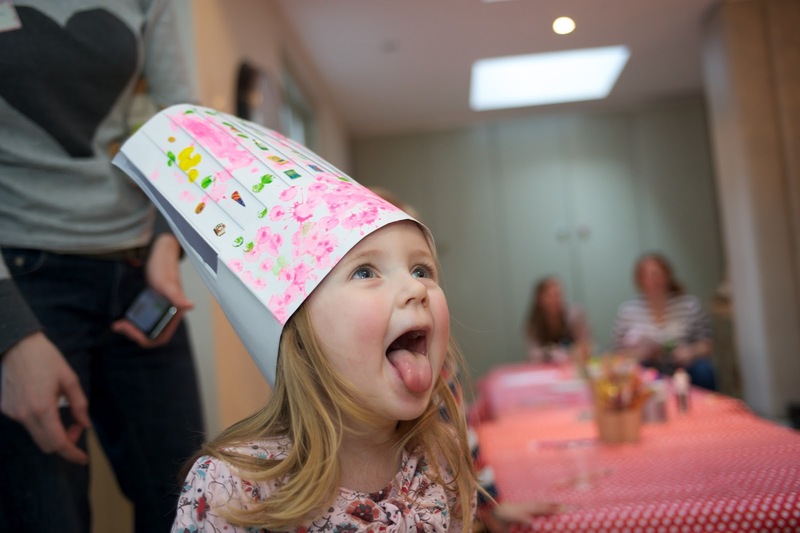 Cooking with Isla was really fun and it's made me think that we can do a bit more than just biscuits and cakes. We could also make a few savoury things, homemade pizza is the first thing that springs to mind, we could make faces and really have fun with the toppings. Tesco Real Food are encouraging anyone to upload their own recipes to the Real Food site and if you submit a Cooking with Kids recipe it at the moment you are in with a chance to win a cooking weekend at Augill Castle - it looks absolutely divine! I'm sure you've all got a recipe in you that could stand you a chance of winning such a fantastic prize. 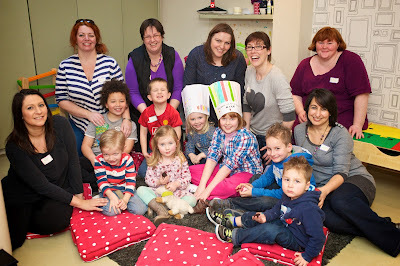 And here are all the bloggers and kids looking happy after all that cooking! 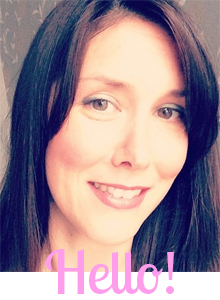 I was invited to this event in order to help me write this blog post about Tesco Real Food. All opinions are my own. What a lovely event! I love cooking with my children, but also tend to stick with the cakes/biscuits. I might have to try some savoury bits and get them cooking dinner with me. They all look so happy, these are truly priceless moments. When I read about the event I did think it was a wonderful idea :0) Thanks for sharing.